Last night, I got off a plane at Gatwick, breezed through security and baggage reclaim in record time, hopped straight on a bus to pick up my car, found it waiting for me, climbed aboard, turned the key … and nothing happened. To be strictly accurate, what happened was the unmistakable sound of a starter motor with not enough voltage to turn an engine over. Never mind, this is why we have breakdown cover. Reaching for my phone to make the call, IÂ found a complete lack of signal. I find it hard to believe that 3 have no coverage of one of Britain’s biggest airports, but no amount of rebooting the phone, popping the SIM in and out, or fiddling with the enable/disable settings for the slot it was in would make anything happen. Fortunately, I managed to borrow an old-fashioned landline to summon a tow truck. 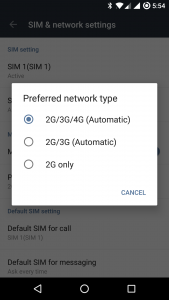 It took me until the middle of this morning to work out that the “preferred network type” setting had somehow gotÂ set toÂ “2G only” (I’m pretty certain I never touched it … a side effect of roaming, perhaps?). Setting it back to Automatic made everything work again. I’m not sure whether to blame 3, Google, OnePlus or myself for this, but it has made me ponder carrying my “festival phone” (a Â£10 Nokia which never goes wrong or flat) in my car for emergencies like this. This entry was posted in Uncategorized on October 29, 2017 by David North. I’ve had a Hive door sensor for a while now, as regular readers will recall. Recently I wanted an similar device for a side project at work. In that case, there’s no pre-existing Hive infrastructure, so the Hive option didn’t make financial sense. Energenie do a nice door sensor for Â£20, but as with all these devices, it speaks to a hub which needs buying separately. I managed to find one of theirs online for Â£40, which is a bit much for such a simple thing, but the cheapest option out there. The Energenie app isn’t as nice as Hive (the notifications say “a sensor has been opened” but you have to tap to see which one, which is a bit silly). It does however talk to IFTTT perfectly. I suspect it can also be made to talk via their Raspberry Pi connector, but I haven’t had a chance to try that yet – and I must admit IFTTT + web hook was really easy to get working without writing much code. This entry was posted in Uncategorized on May 6, 2017 by David North. 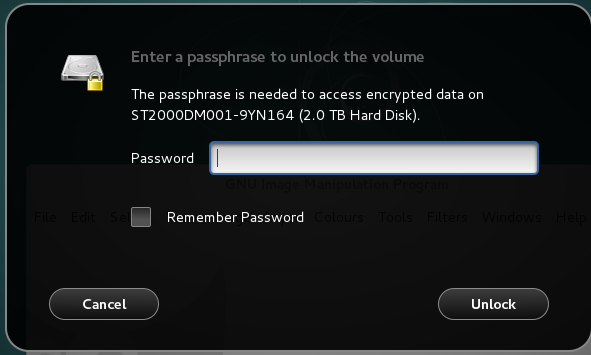 The world has moved on a lot since I last tried to set up a VPN endpoint for my Android phones to use. 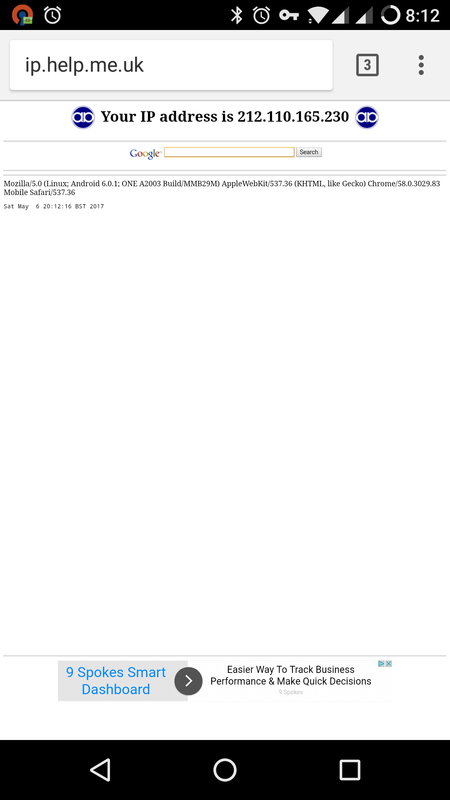 The Debian instructions on OpenVPN mostly work out of the box, and clients are available for all OSes, mobile and desktop. So I’m off to spend the weekend with friends in London, as you do. 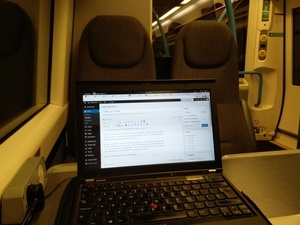 There are a few things I really want to get done on the train, involving my laptop. Odds of getting a seat with a plug socket and enough space to work, on a Friday night peak time GWR train from Oxford to London Paddington? Approaching zero unless I pay double for first class. But wait, capitalism to the rescue! Almost uniquely in the country, Oxford station now has multiple competing routes into London, courtesy of Chiltern going via Oxford Parkway and into London Marylebone. And unlike GWR, it’s on time, and I have not just a table, socket and reasonably roomy seat, but three other unoccupied seats around me. GWR, I’m never taking your route to London again. This entry was posted in Uncategorized on February 24, 2017 by David North. This entry was posted in Uncategorized on November 11, 2016 by David North. This entry was posted in Uncategorized on July 24, 2016 by David North. This entry was posted in Uncategorized on January 12, 2016 by David North. We‘ve had a dedicated server at Bytemark since 2009. This has always been physically located in Manchester, which has been fine. However, recently Bytemark finished their own wholly-owned data centre in York, and naturally wanted as many customers as possible to move. I was a bit nervous about this – although our service from Bytemark has been good over the years, especially the uptime, their support team has been a bit hit-and-miss lately. In fact, they completed our move well within the proposed migration window, the server came back up correctly, and we were able to keep the same ranges of IPv4 and IPv6 we’ve had for years, with only the addresses these routed via having to be changed. This entry was posted in Uncategorized on August 5, 2014 by David North. A fond farewell today to my car, which has been in the family since 1999 and suffered both myself and my sister learning to drive in it. The mighty Fiat served me well, but in the end, living and working as I do in the middle of one of the most anti-car cities in England, it had to go. I sold it to We Buy Any Car (sponsors motoring on Dave), and they gave me fifty quid, which I shall be putting towards finally getting a smartphone. This entry was posted in Facebook, Uncategorized on February 26, 2011 by David North. I’d laugh, but somebody probably sued them when the free pig didn’t turn up. This entry was posted in Uncategorized on December 19, 2008 by David North.